In the July 25th 2013 edition of Dr.Brown’s radio show he interviews Tzahi Shapira, author of “Return of the Kosher Pig”. At one point during the show Shapira makes an attempt to respond to a point that I raised in Contra Brown. The point in question is one of the foundational arguments with which the Jewish Scriptures empower the Jew in his debate with any competing faith including the faith in Jesus/Yeshua. It is simply this. God Himself taught the Jews who it is that they are to worship. It follows that no one is authorized to teach differently than God (Deuteronomy 4:9, 15, 35). Shapira’s response is that Jesus was present at Sinai. The thrust of this argument is that the Jews were taught by God to worship a trinity. He bases this bizarre claim on his reading of the complex and mysterious kabbalistic work; the Zohar. According to Shapira, the Zohar teaches that the voices that the text of Exodus 19:16 describes of are the three voices of a triune god. Before we analyze Shapira’s understanding of the Zohar we will point out that his argument still does not answer this core Jewish Objection. In Deuteronomy 4:9 we are given to understand that God designated the living testimony of the Jewish people to transmit the message of Sinai to future generations. This concept is reinforced in the book of Isaiah were God points to Israel as the witnesses to the truth of His sovereignty (Isaiah 43:10). Since the living Jewish people saw Shapira’s claim as the very antithesis of what we were taught at Sinai then his claim is without foundation. Throughout history the Jewish people have understood their calling before God that they testify to the world that every iota of finite existence is completely subject to God. The very witnesses God appointed to preserve the message testify that Shapira has it wrong. 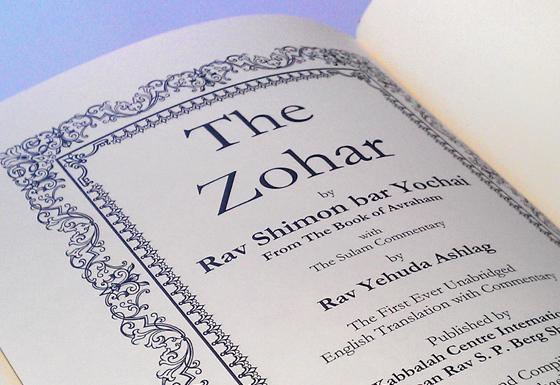 When we examine Shapira’s rendering of the Zohar (on page 64 of his book) it becomes obvious that the words of the Zohar have no connection at all to Shapira’s fantasies. 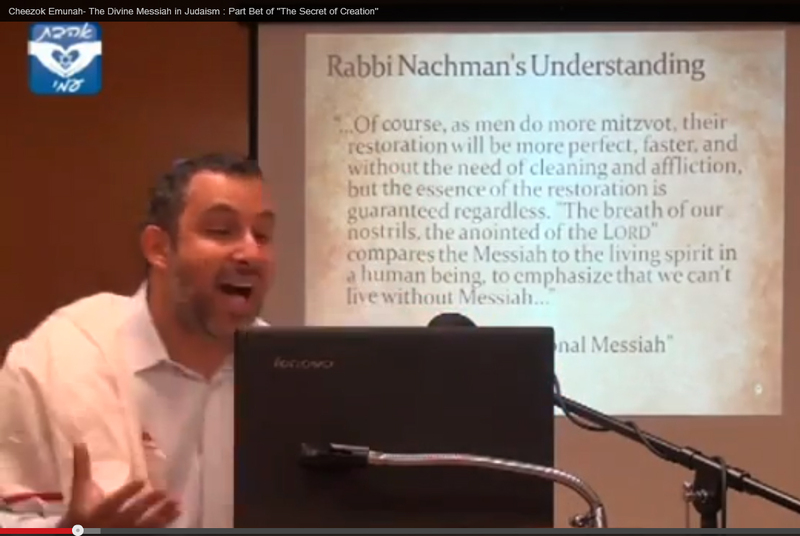 Shapira inserted the word “Messiah” into the text where no such word appears. In his book he claims that the word “water” is a secret code-word for “Messiah”. He provides no sources for this conjecture. Shapira translates the word “ruach” as “spirit” while from the context of the passage it obviously means “wind”. Shapira conflates two paragraphs in the Zohar without any textual justification. Shapira translates the word “gevanin”, which means “colors” as “voices”. There is no philological basis for this translation. The Zohar is describing the spiritual forces that were involved in the sounds that Israel heard during the Sinai experience. These sounds were what Israel heard before God actually spoke to them and these were not the voice or voices of God. This passage in the Zohar is not presenting a teaching on the nature of God. In this same radio show Shapira insists that the basis of his belief is the simple contextual meaning of the Jewish Bible. If this were true he would respond to my challenge with a passage in Scripture. The fact that he needed to find his answer in a book that declares his worship to be idolatrous tells us that he was not able to find an answer elsewhere. And the fact that in this short quotation from the Zohar he managed to include five incredible errors tells us that his approach to the Zohar is not based on language or context; neither is it based on a respect for the intention of the author. It is based on the same foundation which had Matthew see the Virgin Mary in Isaiah 7:14. When I read this , it was me 100% , messianic Judaism seem so real for, thanks to several rabbi explaining truth, I had to beg Hashem to forgive me and truly teach me.